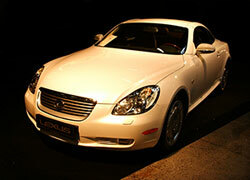 Lexus was established as the luxury brand of Toyota in 1989. Their first vehicle was the LS 400 and their lines in following years have since included sedans, coupes, convertibles, SUVs and hybrids. The Lexus brand has built a reputation for high reliability and customer service. Through 2008, Consumer Reports named Lexus among the top five most reliable brands in its Annual Car Reliability Surveys. With that said, their customer service extends beyond the Lexus dealerships, and that same high-quality service can be found at certified service shops such as Santa Rosa Transmission and Car Care. anta Rosa Transmission’s mechanics are highly-skilled working with Lexuses and are certified to work on the older, as well as the newer Lexus models. Sometimes a Lexus LS 400 model will come in for service, but more frequently, our customers will bring us their Lexus CT, Lexus IS, Lexus HS, Lexus ES, Lexus GS, Lexus LS, Lexus SC, Lexus RX, Lexus GX, and Lexus LX, just to name a few. For an appointment, contact Santa Rosa Transmission and Car Care at 707-766-0750 or drop by our location at 1015 Santa Rosa Avenue, Santa Rosa, CA 95404 for a quick look at your Lexus. At Santa Rosa Transmission and Car Care, we’ll be happy to assist you and take excellent care of your Lexus so it can take care of you.